Hope this finds you full of energy, playing full out, connecting to your inner genius and being all you can be. No matter how inspired you might be, it is of little use if you lack the physical vitality to execute your plans. Get active and get moving. Whether this means a daily exercise program or simply riding your bike to work, think of as many ways as possible to be active in your daily life. Just because you are in business and have a family doesn’t mean you can’t be in shape – it actually makes it even more important. 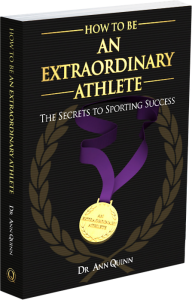 And if you are an athlete, are you in the best shape be to be extraordinary? Fitness is a game-changer. It just is. Once you get to your best physical condition, your focus soars, your mood elevates, your resilience grows and your stamina flows. The perfect human is like a hunter on the ancient plains-knowing that only the fittest survive. And yes-when you get fit you’ll get giant goals done. But also get ultra-healthy so you’re of improved service to our world. We all need you to shine. For Leaders – Remember when you transform your fitness, you’ll transform your business. For Athletes – Remember when you become super fit, you will achieve super results. You can throw in the towel or you can use it to wipe the sweat off your face. Superior fitness gives you so much confidence. You know in your heart you can do whatever it takes. You are stronger, you can move faster, think quicker and last longer, and you become mentally tougher. World class performers play to win. Be in your best shape and win this great game called life. Get moving now to extraordinary fitness, health, energy and vitality.